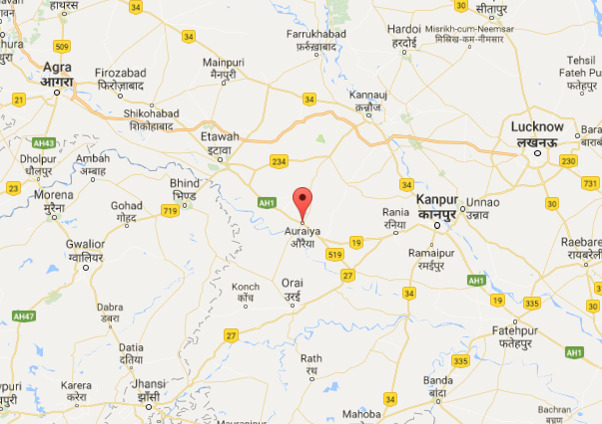 Dibiyapur Plastic Park, Auraiya is spread over 274.45 Acres of Land. Integrated Plastic Park in coordination with the, GAIL, NTPC, CIPET, MSME-DI & financial institutions (HUDCO, SIDBI and NABARD and others) is being set up. Domestic consumption of plastic is expected to touch 20 million Metric Tonnes by 2020. Per capita consumption of plastic is increasing at a fast pace .gaining importance in different spheres and the per capita consumption. The material is gaining importance with continuous advancements in polymer technology, processing machineries, expertise and cost effective manufacturing. 175.02 Acres of land is earmarked for the Industrial sector. A total of 223 plots are available with plot sizes varying from 450 Sq. Mt. to about 36,000 Sq. Mt. Plastic Park provides manufacturing and export opportunity for wide range of products like plastic-moulded extruded goods, polyester films and so on. Housing scheme at Plastic City, has 84.93 Acres earmarked for the residential sector, including group housing and individual housing plots. A total of 622 housing plots of sizes 112.5 Sq. Mt. to 300 Sq. Mt. 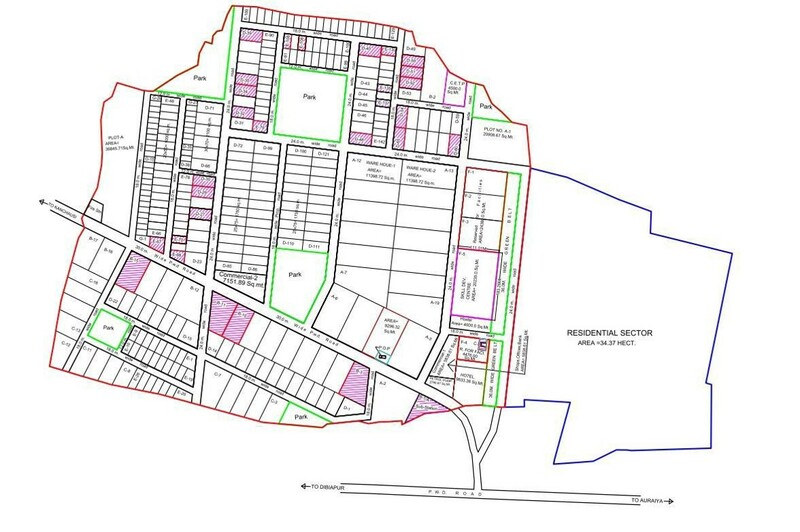 are proposed out of which 480 plots are available. Four plots with a total size of 17.79 acres of land are available for Group Housing. The residential zones will have a number of support factors like retail shops and adequate earmarked green zones. Plastic City Aims to be a self-sustained city with commercial establishments such as shops, hostel, petrol pumps, restaurants, auto showrooms, hotels, warehousing space and other facilities. As an integrated township, the focus is on encouraging various institutions such as schools, colleges, & vocational training centres. This will cater to the educational needs of the working population, as well as ensure steady supply of trained manpower to the industry. 2. EPF reimbursement facility to the extent of 50% of employer’s contribution to all such new Industrial units providing direct employment to 100 or more unskilled workers. 3. Capital Interest Subsidy to the extent of 5% per annum for 5 years in the form of reimbursement on loan taken for procurement of plant & machinery, subject to an annual ceiling of INR 50 lacs. 4. Infrastructure Interest Subsidy to the extent of 5% per annum for 5 years in the form of reimbursement on loan taken for development of infrastructural amenities for self-use like roads, sewer, water drainage, erection of power line, transformer and power feeder, subject to an overall ceiling of INR 1 Crore. 5. Interest subsidy to the extent of 5% per annum for 5 years in the form of reimbursement on loan taken for industrial research, quality improvement and development of products by incurring expenditure on procurement of plant, machinery & equipment for setting up testing labs, quality certification labs and tool rooms, subject to an overall ceiling of INR 1 Crore. 6. Exemption from electricity duty to all new industrial units set up in the state for 10 years. 7. Exemption from electricity duty for 10 years to all new industrial units producing electricity from captive power plants for self-use. 8. Exemption from Mandi fee for all new food processing units on purchase of raw material for 5 years. 9. The industries which are disallowed for input tax credit under the GST regime, will be provided reimbursement of that amount of VAT/CST/GST paid on purchase of plant and machinery, building material and other capital goods during construction and commissioning period and raw materials and other inputs in respect of which input tax credit has not been allowed. 10. Units generating minimum employment of 200 direct workers including skilled and unskilled will be provided 10% additional EPF reimbursement facility on employer’s contribution. 11. All incentives in the form of reimbursement, subsidies, exemptions etc., will be subject to a maximum of 90% of fixed capital investment made in Madhyanchal region. Mega Capital investment of more than Rs.150 crore but less than Rs.300 crore OR Providing employment to more than 750 workers. Mega Plus Capital investment of more than Rs.300 Crores but less than Rs.750 crore OR Providing employment to more than 1500 workers. Super Mega Capital investment of more than Rs.750 Crore OR Providing employment to more than 3000 workers. A. The incentives will be applicable for new units as well as projects under expansion/diversification. Projects in the mega categories (mega, mega plus and super mega) will be processed on a case to case basis for finalising the incentive structure. B. All incentives for mega investments in the form of reimbursement, subsidies, exemptions etc., will be subject to a maximum of 200% of fixed capital investment made in Madhyanchal region. Units availing incentives from any other policy or those sanctioned by the departments of the State government, will also be entitled to avail incentives/benefits mentioned in this policy provided the same kind of benefits/incentives are not being availed from any other policy. If a unit avails any incentive under industry specific policies like Agro & Food Processing Policy, IT Policy etc., it will not be provided incentive of similar nature under this policy. A negative list of industries will be identified which will be ineligible for any incentives mentioned in this policy. However if any package of incentives has already been committed by the state government to any such unit before the industry was declared negative, the committed incentives will not be withdrawn and the unit will continue to remain entitled to the benefits.